The next generation of leading water scientists and engineers are set to be trained at Cranfield University. The Engineering and Physical Sciences Research Council (EPSRC), which is part of UK Research and Innovation (UKRI), today announced the University’s participation in two Centres for Doctoral Training (CDT). Cranfield is the lead institution in the Water Infrastructure and Resilience CDT led by Professor Peter Jarvis, with partner universities Sheffield and Newcastle, and will also feature in the Water and Waste Infrastructure Systems Engineered for Resilience (Water-WISER) CDT led by the University of Leeds. Announced by Universities and Science minister Chris Skidmore, as part of a package of 75 centres across the country, the centres represent a £446m investment by Government in research. 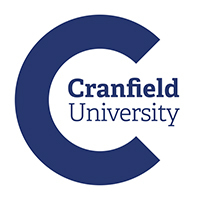 Professor Paul Jeffrey, Director of Water at Cranfield University, said: “This investment in doctoral training centres at Cranfield demonstrates the strength of our water science research and educational offering. Announcing the investment in over 70 CDT’s, including Water Infrastructure and Resilience, Science and Innovation Minister Chris Skidmore said: “As we explore new research to boost our economy with an increase of over £7 billion invested in R&D over five years to 2021/22 – the highest increase for over 40 years – we will need skilled people to turn ideas into inventions that can have a positive impact on our daily lives.